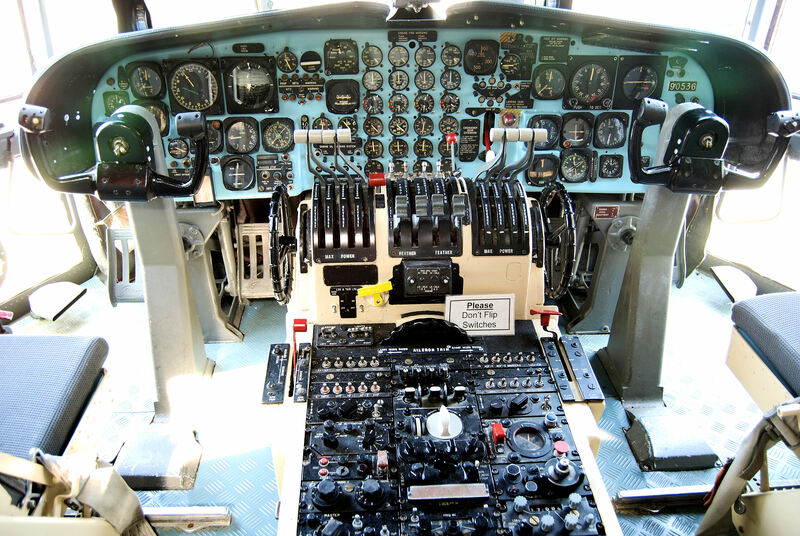 The C-133 Cargomaster that so many worked so hard to bring to the AMC Museum is a reality. 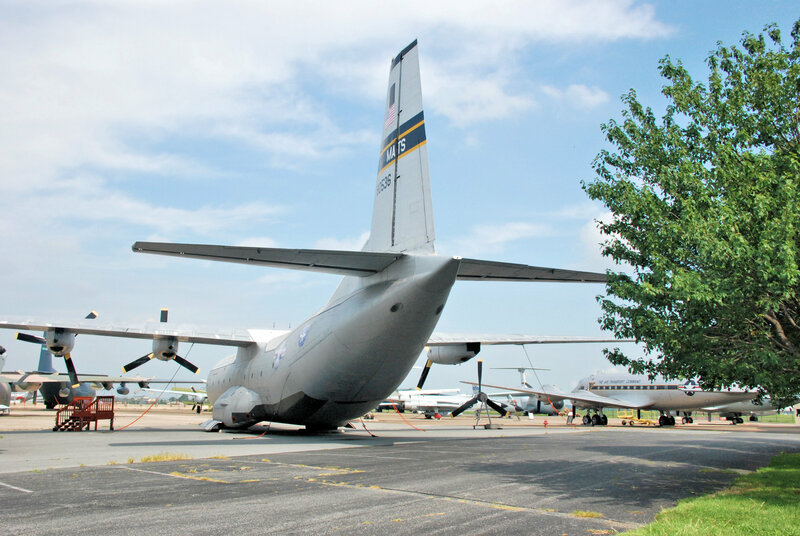 The success of the C-133 veterans in raising enough money for the reassembly of the plane, the hard work of the volunteers and the thousands of manhours, and the determination of the museum and its foundation to place a Cargomaster in the collection has paid off! 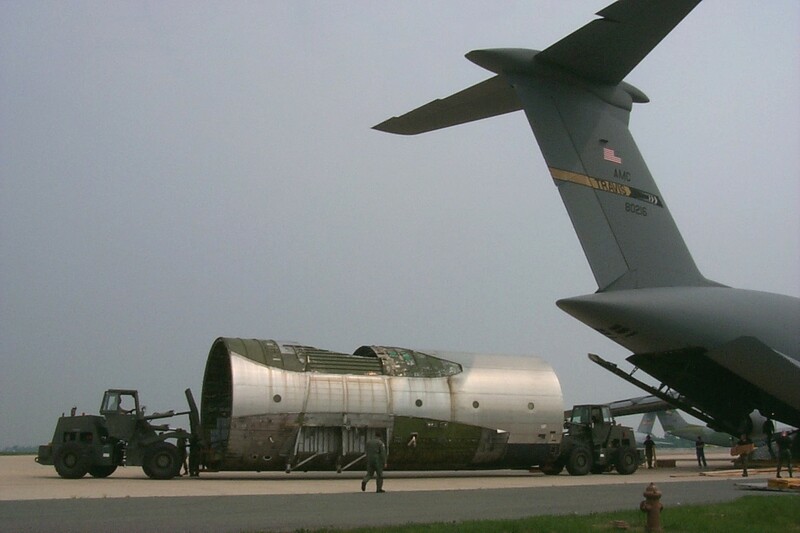 Conceived as an air transport for America’s large missiles, the C-133 was designed to meet the requirements for the USAF’s Logistic Carrier Support System. 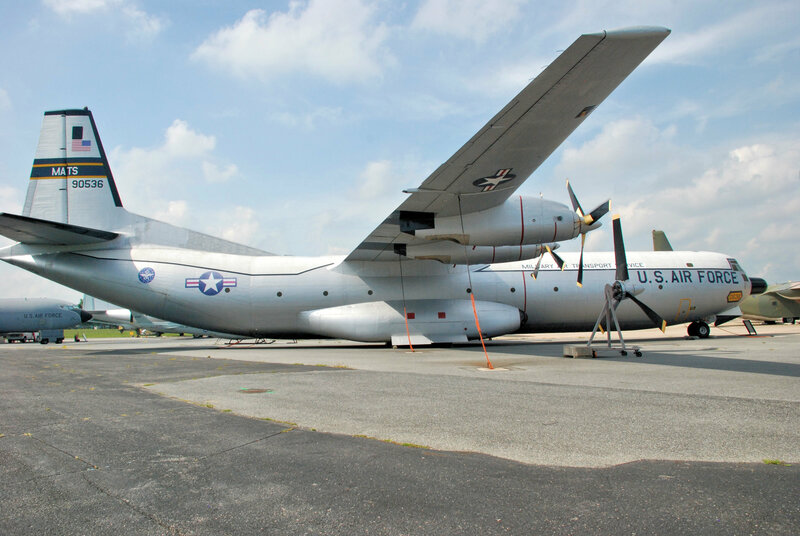 The C-133 Cargomaster was developed by the Douglas Aircraft Company and first flown on 23 April 1956. 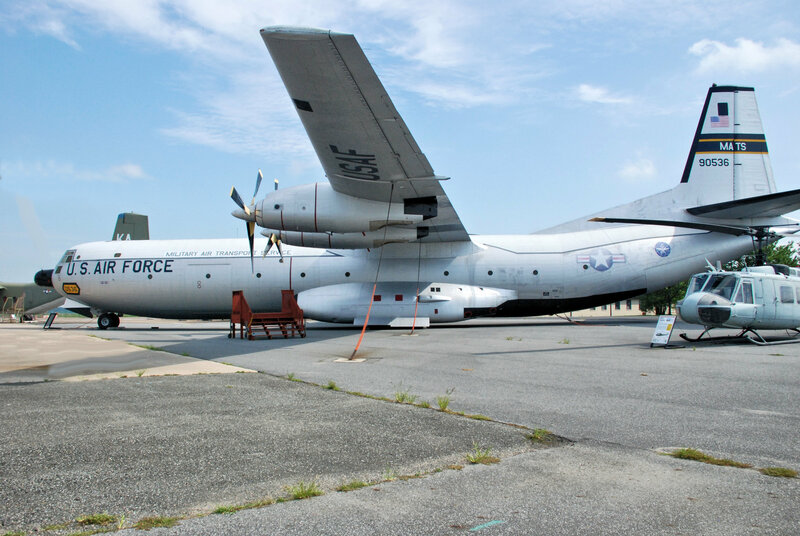 It was the largest turboprop transport ever to be accepted by the U.S. Air Force. In 1958, C-133s began flying MATS air routes throughout the world, and two Dover based C-133s established transatlantic speed records for transport aircraft on their first flights to Europe. The fleet of 50 aircraft proved itself invaluable during the Vietnam War, but fatigue problems led to their withdrawal from service in 1971. 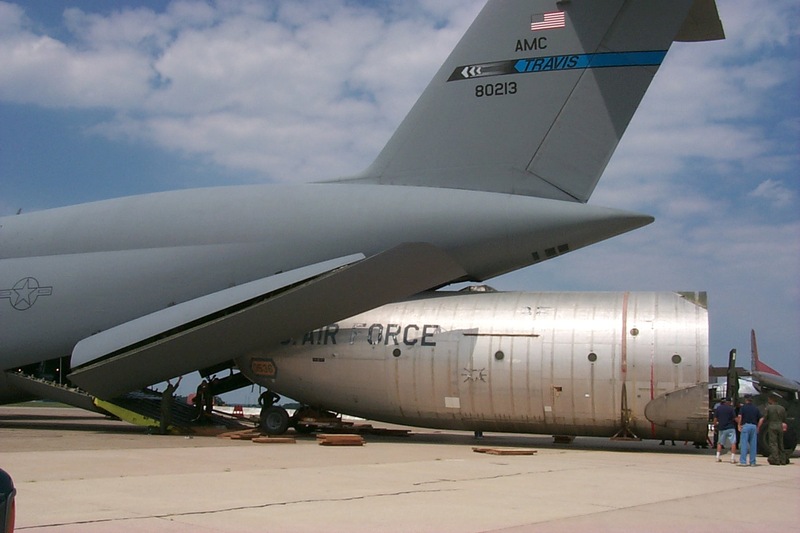 The aircraft differed considerably from the C-74 and C-124 Globemasters that had preceded it. A high-mounted wing, external blister fairings on each side for the landing gear, and rear-loading and side-loading doors ensured that access to, and the volume of, the large cargo compartment were not compromised by these structures. 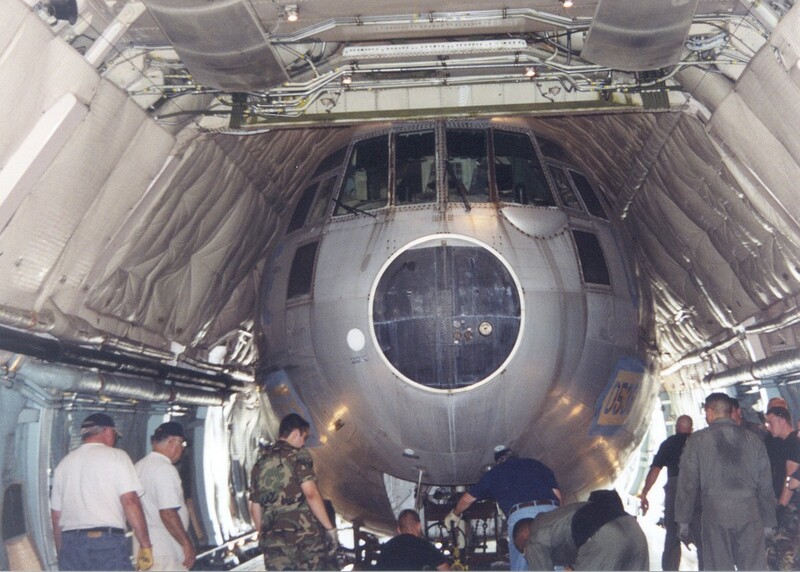 The cargo compartment (97 feet 4 inches length and 13 feet 4 inches high) was pressurized, heated, and ventilated. 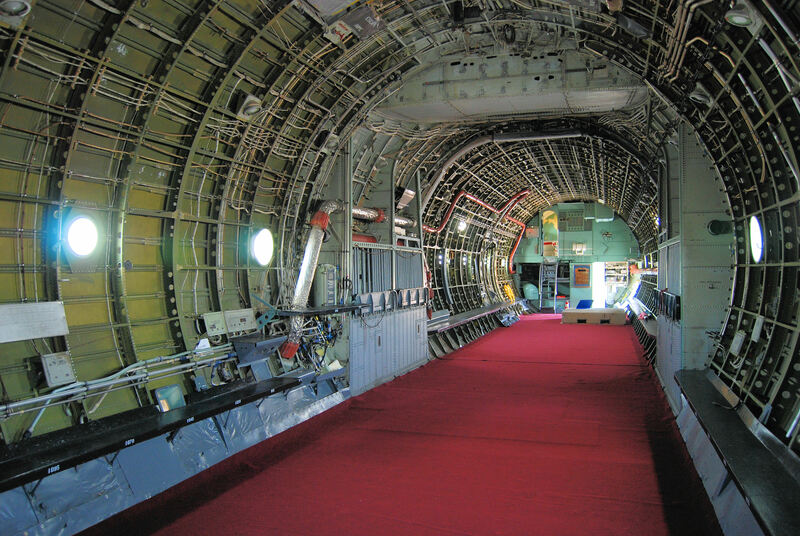 The Cargomaster had a 13,000 cubic foot cargo area with floor tie-down facilities permitting installation of 200 airline-type seats. 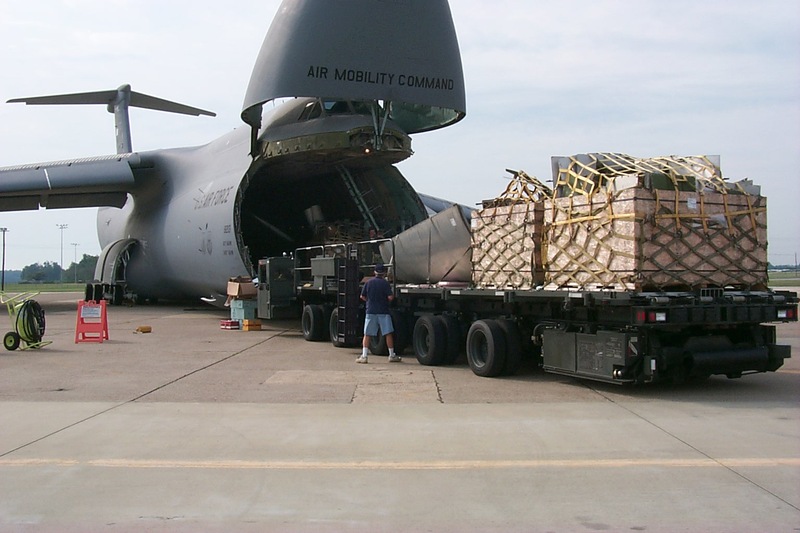 The C-133 could accommodate 110,000 pounds of cargo or a fully-assembled Thor, Jupiter or Atlas ballistic missile. 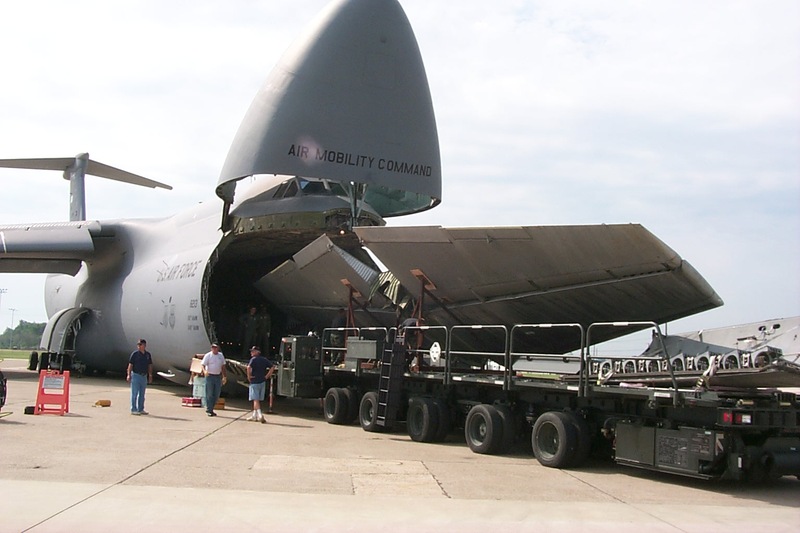 Cargo was loaded via a two-section rear door assembly, the lower section formed a ramp for drive-on/drive-off capability, or by a cargo door on the port side of the forward fuselage. 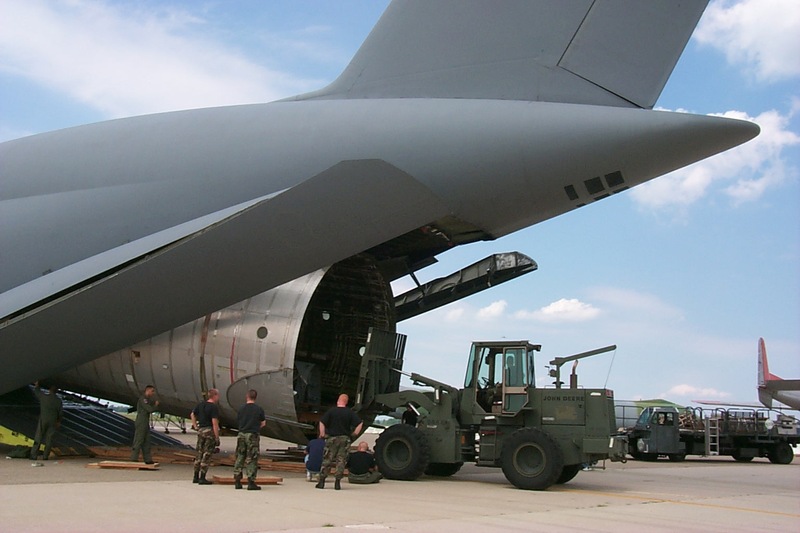 The C-133 was able to accept practically every type of vehicle in service with the U.S. Army. 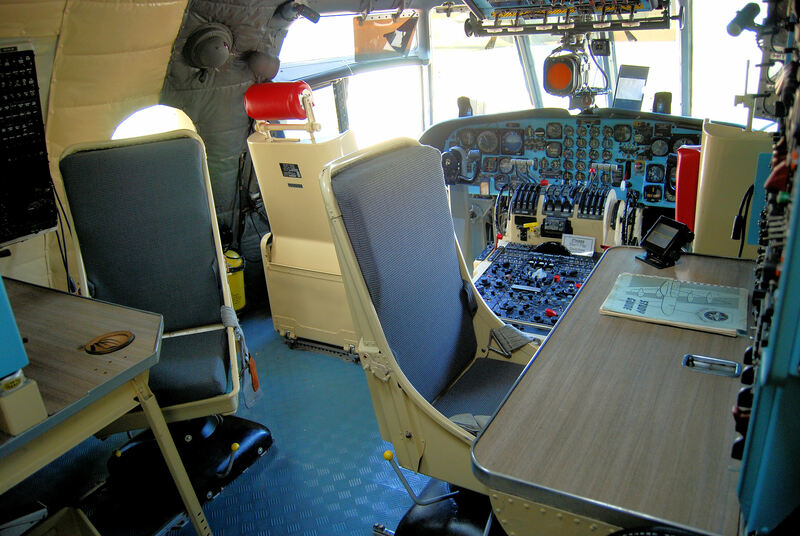 The Cargomaster went directly into production as C-133A; no prototypes were built. The first C-133As were delivered to the Military Air Transport Service (MATS) in August 1957 at Dover. 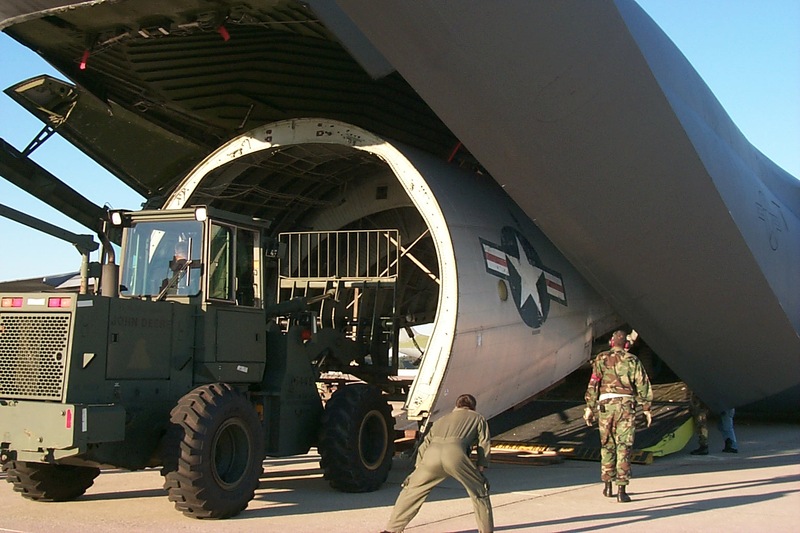 A total of 35 were built: the last three having a “clamshell” rear door assembly which increased the compartment length by 3 feet, making it possible to airlift completely assembled Titan missiles. 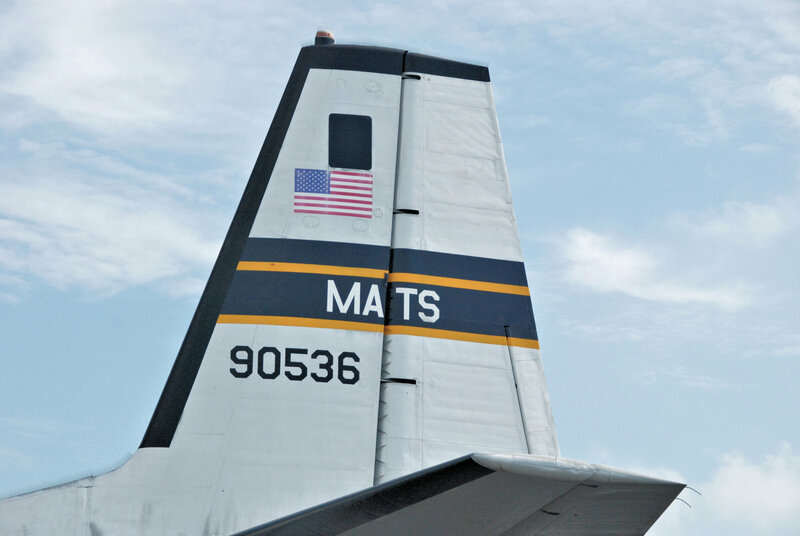 These were followed by 15 C-133B aircraft that retained the “clamshell” doors and incorporated more powerful engines. I am Sgt. Jack L. Cole Crew Chief on aircraft 0536 form 1965 to 1968. I was stationed at Travis AFB California as part of the 1501 Maintenance Sq. 601st OMS and I was one of the flying Crew Chiefs who made sure these planes made their missions while in the field. 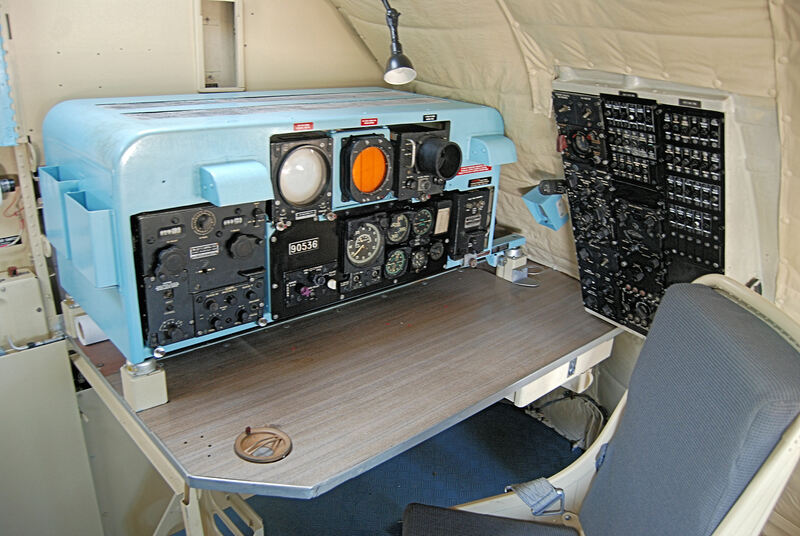 I also flew with the plane while on missile run all over the USA and delivering ICBMs all over and launch missiles to Cape Kennedy for the manned and unmanned shots. I recovered Apollo 3 and dropped it off in Long Beach California. I loved flying on this plane because she gave me a challenge to keep her airworthy as all of us who worked on them found that to be a very hard job sometimes. The first year (1965) I helped work on the plane on the line while I learned the plane and her systems and for the last two years (1967-1968) I flew everyday. If I wasn’t washing cloths or sleeping I was airborne. I flew with the best flight crews ever and had become just one of the crew. I visited the Air Mobility Museum in 2018 just to visit my old friend 0536. I am not a shame to say I cried like a baby while I walked around her and put my hands on her skin. That brought back many memories of lots of hard work and good times I had, I would do it all over again if asked. Hello, I’m a lifelong C-133 enthusiast who spent 2 very full years on aircraft 56-1998 at Dover, 1967 and 1968. Started out as a ground crew member on the night shift mx crew (617OMS) on the airplane and after about 18 months was moved up as the assistant CC, on the night shift. I don’t think any of the other guys wanted the job! I then began training for flying status and was nearly complete when an airman approached the airplane while I was getting checked off on an engine run one afternoon. He was carrying my PCS orders for Morón AB, Spain.. I shut the engines down and walked off the flight line. I never set foot on a Cargomaster again while on active duty. Those were, without question, my best two years of a 30 year career. I was stationed at Kadena in 1505 Support Sq (1962-1964) as a engine mechanic and the first to be run qualified on the C-133. We had one C-133 that was around for awhile with severe vibes after take off. 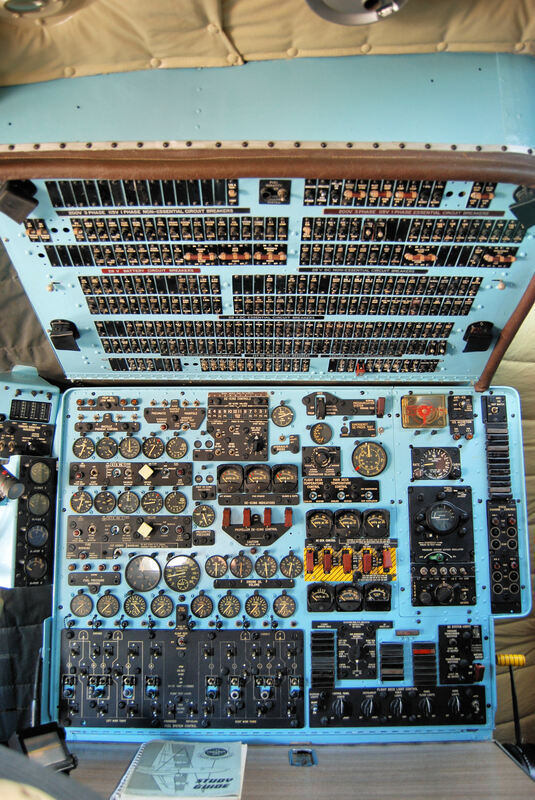 Spent many hours operating engine problems. We found on a test flight it to be a broken engine bay door. I thought this was a very unique aircraft. I am now retired after 46 years of military aircraft work and miss it at times. My Dad, MSGT Dennis C. Childres, flew 35 missions to Vietnam on the C133,receiving the Air Medal! He also worked on the flight lines in the Korean War. He was the flight engineer on the “bus” he called it. He retired in ’75 but I will have to look up his Squadron name. His name is on the plaque at the Dover AFB Museum with many who flew on this dangerous plane. He was a wonderful father and family man, we loved him dearly! He always put us first, never complained much even after 2 open heart surgeries. He worked harder than anyone I know! He gained his wings in 2008. He is survived by 4 children, 14 grandsons, & 9 great grandchildren. Truly our Hero! My father was also there, MSgt. Ralph Draughon. Was sent to Okinawa for 3 years in 63. Returned back to Dover and stayed until retirement. Was Flight Line Chief at end. He was with maintenance. I was stationed at Dover AFB, Delaware from Nov 1954 until April 1961, assigned to the 1607th Periodic Maintenance Squadron, first as an administrative clerk in the Orderly room, and then became Chief Clerk at 1607th Periodic Maintenance Squadron working on the Flight Line behind the large Black hanger. Anyone who may be associated with the AMC Museum who may have worked in the 1607th, please contact me at this e-mail address. Thanks.